Alexander Claffy was raised in a musical household (his father is a pianist, his mother, a vocalist), and had many of his earliest lessons on bandstands in the heart of Philadelphia. 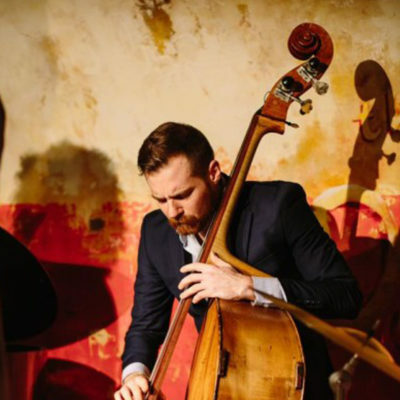 As a teenager, Claffy was fortunate enough to find a mentor in many Philly natives, and has continued his study of the double bass with some of the world's finest musicians, including Ron Carter, Dwayne Burno and Orin O'Brien. Since moving to New York City in 2011, he has had the honor of working with many of his living heroes, including Johnny O'Neal, Jimmy Cobb, Louis Hayes, Sean Jones, Russell Malone, Christian Scott, Wallace Roney and many more. In the past 3 years he has appeared on records with Victor Lewis, Orrin Evans, Joel Frahm and more. Alexander currently resides in Harlem. "CLAFFY" - His Music. He has just finished writing, recording and producing his debut concept album: CLAFFY. With the help of engineer/ producer Michael Perez-Cisneros (Kurt Rosenwinkel, Esperanza Spalding and many others), he has documented his own true story of love, heartbreak, and the eternal question: were we meant to be? Just shy of 40 minutes, this groundbreaking LP introduces many of New York's unheard young talent - including vocal powerhouse Michael Stephenson.